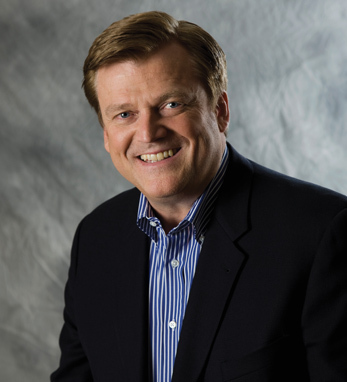 Patrick Michael Byrne is chairman and CEO of Overstock.com, Inc., a Utah-based Internet retailer that has been publicly traded since 2002. Under Byrne’s leadership the company’s annual revenue has gone from $1.8 million in 1999 to $760.2 million in 2007. In 2001, Byrne began Worldstock.com, Overstock.com’s socially responsible store for products handcrafted by artisans from developing nations and rural areas of the USA. To date, more than $30 million has been returned to Worldstock’s artisan suppliers. Byrne received a bachelor’s degree in philosophy and Asian studies from Dartmouth College, a master’s in philosophy from Cambridge University as a Marshall Scholar, and a doctorate in philosophy from Stanford University. Byrne serves as co-chair of the Milton & Rose Friedman Foundation for Educational Choice. He has also founded 19 schools internationally that currently educate more than 6,000 students. After surviving cancer, Byrne cycled across the country four times. His last ride, in 2000, helped increase awareness and raise record-breaking funds for cancer research at the Dana Farber Cancer Institute. Byrne is a fifth-generation Irish-American with roots in Cork and Wexford.